to the plywood. The copper was bent around the edges in order to create the appearance of a solid slab of copper. Beth then applied a few different patina solutions to create the lovely design with the copper. 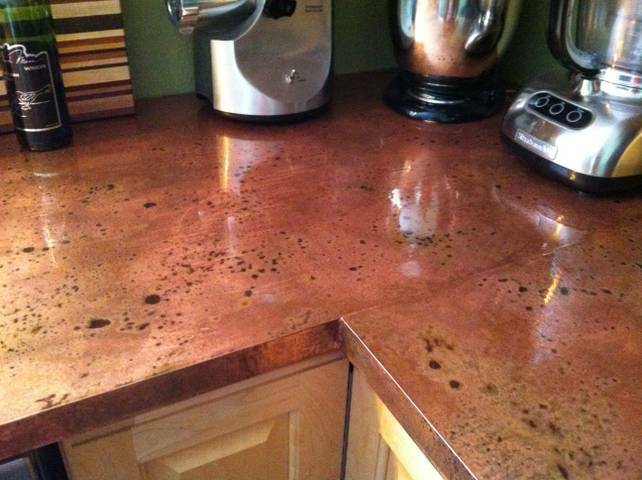 Once finished, the countertops were sealed with a two part epoxy.